This seems more like a spring recipe to me, but with the weather we’ve been having here you would hardly know it’s summer so I’m going to sneak it in anyway. Spring is usually when gardens have an abundance of lovely fresh peas, so if you have some growing, you might want to make use of them in place of the frozen ones I’ve used here. I love the fresh flavours in this dish, and I especially love that it can be thrown together in no time for a satisfying weeknight meal. Almost a year into my ‘real job’, I’m really finding the value in speedy weeknight meals. Gotta love some down time in the evenings! 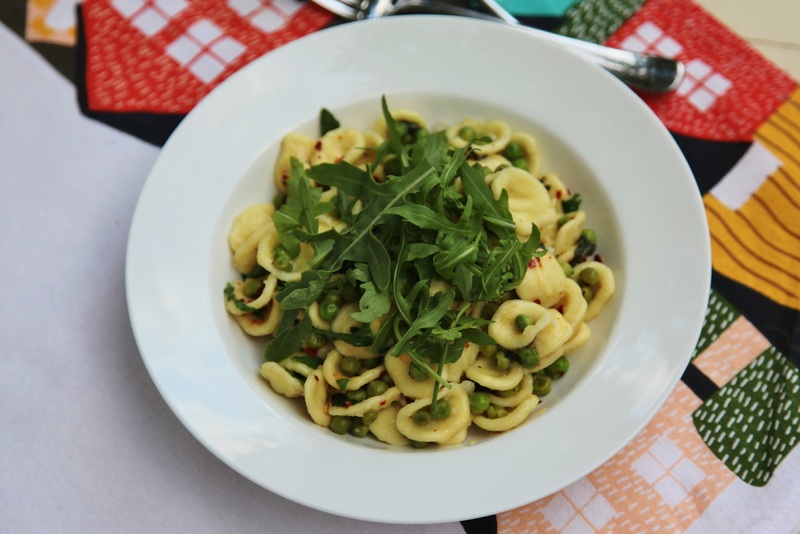 Bring a large pot of water to the boil, and add orecchiette. Cook according to packet directions, then drain. Meanwhile, heat rice bran oil in a pan over medium heat. Add shallots and saute for a couple of minutes, until translucent. Add garlic and cook for a further minute. Add peas to the pan, and cook for a couple of minutes – until heated through – then remove from heat. In a small bowl, whisk together lemon juice, zest, olive oil, salt, pepper and chili flakes. 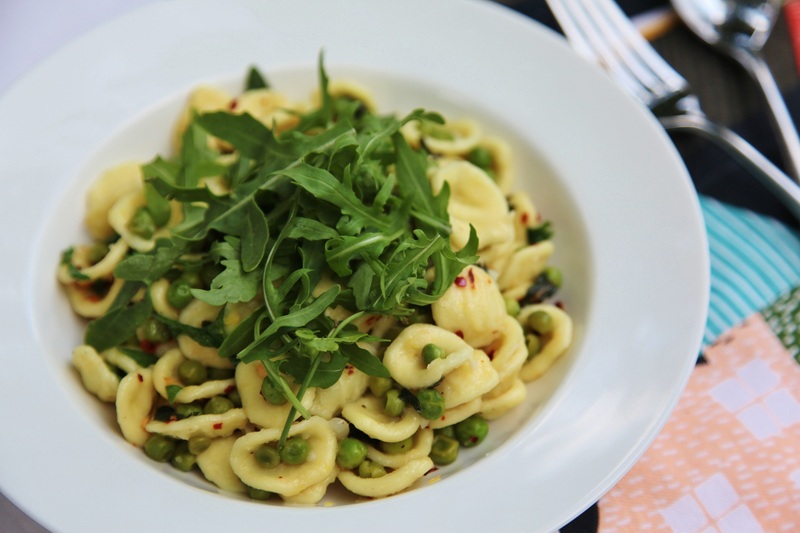 In a larger bowl, combine drained orecchiette, pea mix and lemon juice blend and stir to combine. Add mint and stir through. Taste for seasoning and adjust if necessary. Separate into bowls and top with a handful of rocket before serving.